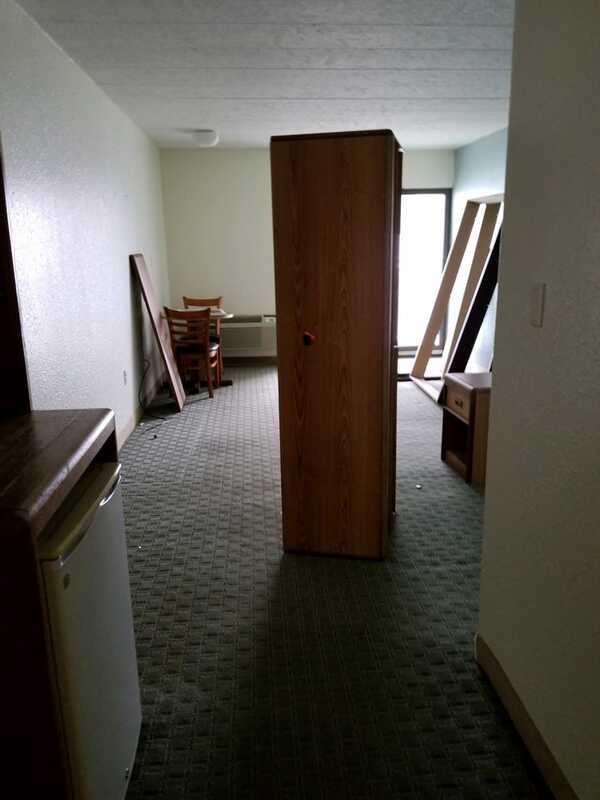 Update On Improvements: We’re Emptying The Rooms! 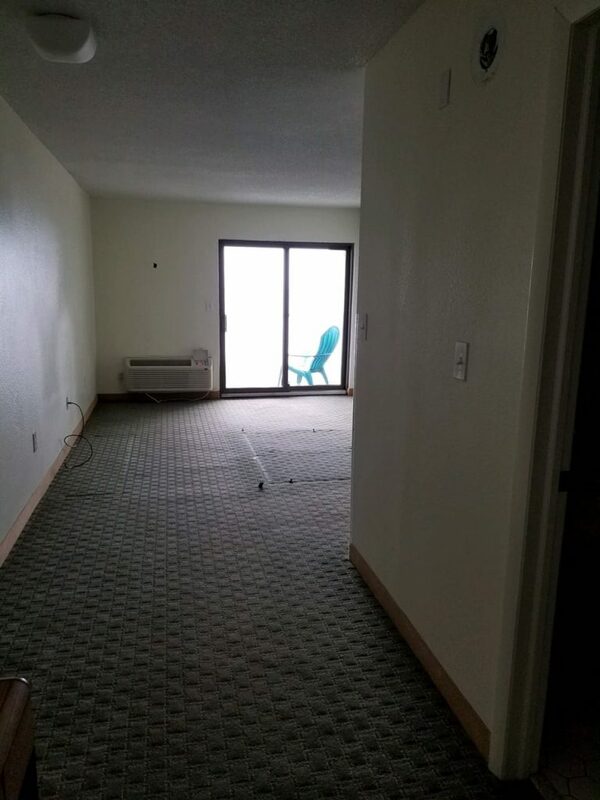 Renovations at The John Yancey Oceanfront Inn Four Seasons Building have begun! Over the coming weeks our team will be working hard to make major improvements to the Four Seasons Building improvements and we’re eager to share that progress with you. 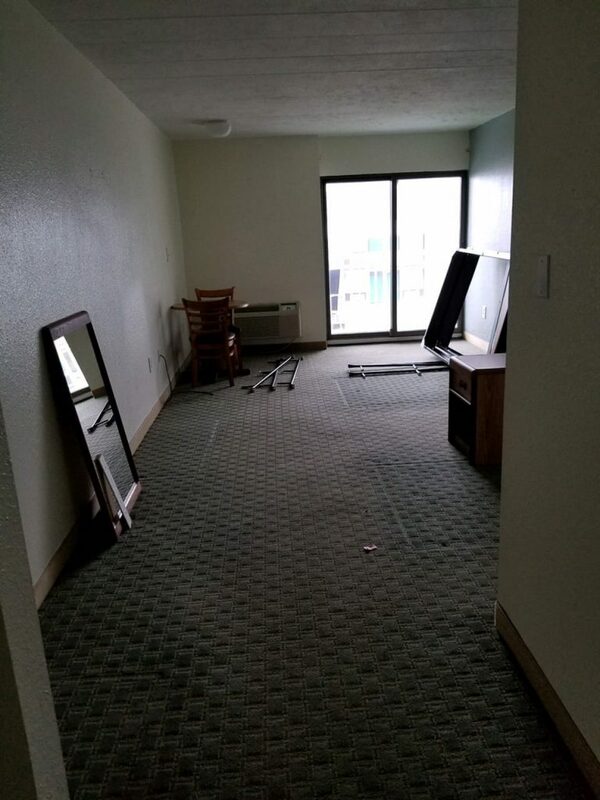 We’ve started by clearing and removing all of the furniture & fixtures from the rooms and aim to next begin with demo’ing the rooms completely. Over the coming weeks we’ll be showing you progress of the demo s so you can follow along! New bathrooms with tile wall in showers, new sliding glass doors, new flooring, are some of the changes coming! Plus all-new furniture and design package that will modern, yet beachy with a cottage feel that you could only get in an independent boutique OBX hotel. 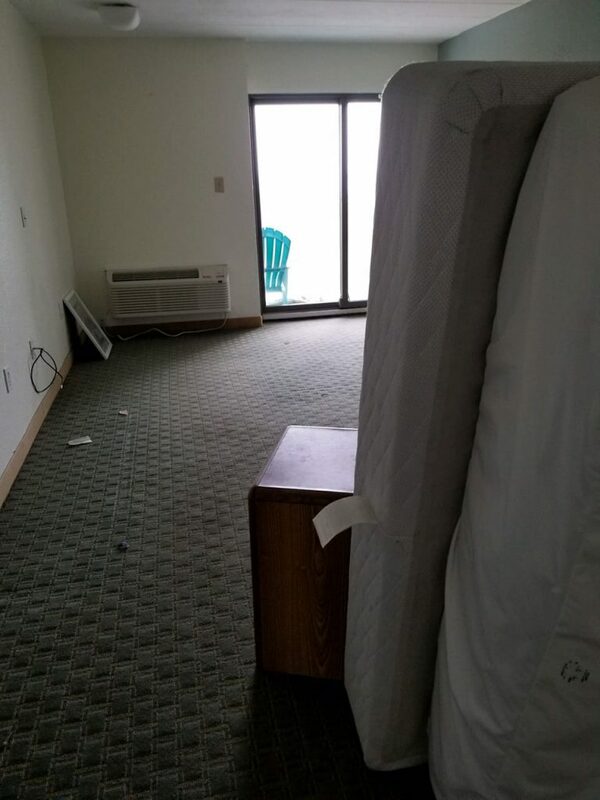 Be excited and reserve your 2019 reservation in the newest, nicest rooms on the Outer Banks. All wall & room items gone. What are most excited to see in the new rooms? We’d love to hear from you on Facebook. ©2018 John Yancey Inn. All Rights Reserved.